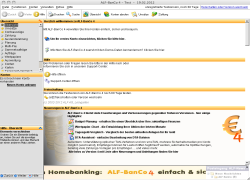 ALF-BanCo 4 is a personal finance application tailored to the German market. It allows to manage several bank accounts and supports online banking through the FinTS and HBCI standards. 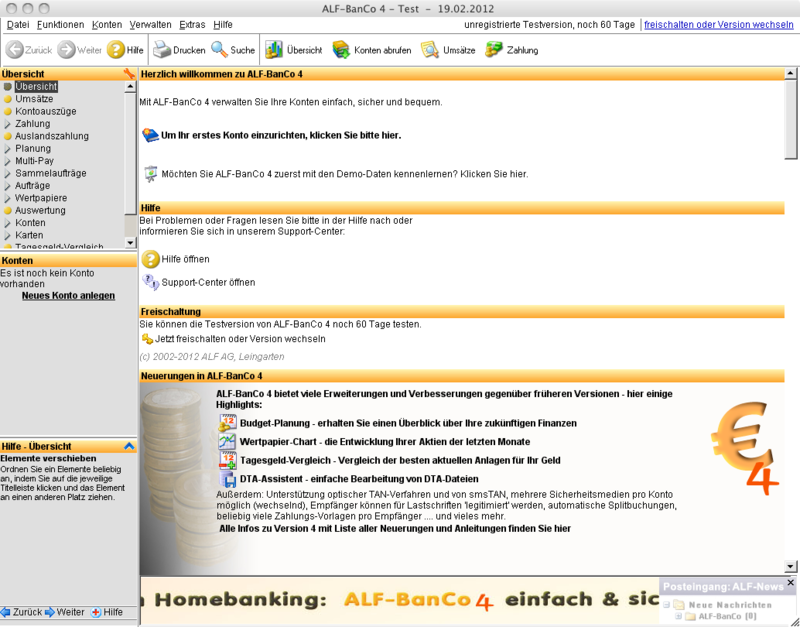 CrossOver (Beta) ALF-Banco after first Launch and creating a test database. There are no Advocates for ALF-BanCo 4... yet.